The eBook edition of Time, emiT, and Time Again is available under . The Audio version of Time, emiT, and Time Again was recorded in 2010, and podcast both on the Modern Evil Podcast and on Podiobooks.com in 17 parts. The MP3 Audiobook version contains the same basic recordings, but without intro/outro on every file. In addition, where stories were broken up into multiple files for the podcast, they are presented as single files when you purchase the audiobook – one MP3 per story or essay, for a total of 10 tracks. Hard science fiction written to stimulate your mind without forgetting you have a heart. 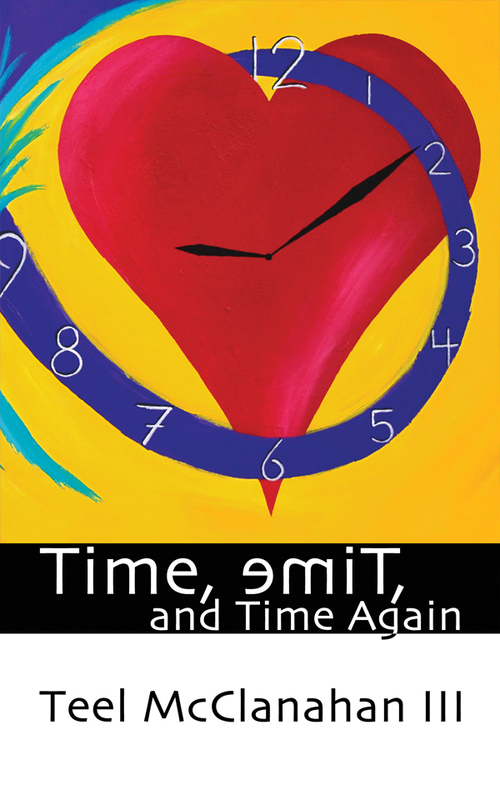 This painting was designed and painted specifically to create the cover of Time, emiT, and Time Again. This is a story about getting so caught up in love with someone that you stop living your own life, stop moving forward. This is a story about finding yourself so stuck in seeking the same somebody that you become unstuck from the world. This is a story about love, and about waiting. This essay is about an alternate conception about visualizing the shape of time. Rather than the standard circles, squares, and grids created by the limitations of paper and other physical displays, I suggest a new model which fits time better and is very reasonable to be displayed by today’s ubiquitous digital displays. Imagine you could change the direction you travel through time and actually go backward in time. In this story, Brent finds himself able to do just that and, along with his brother Charlie, explores some of the possibilities that ability creates. Together they look at problems of ethics, causality, and the possibility of doing heroic deeds and making themselves vast amounts of wealth very quickly. This essay is a personal exploration of my own unusual relationship with time. It touches both on my mind and body’s disconnection from a “normal” circadian rhythm and on my imagination and creative mind being six months (to many years) ahead of the pace of technology. In a future where processing speeds allow computers to predict the future and advancements in genetic engineering allow people to design custom children, what happens when these technologies -and a couple who haven’t kept pace with post-singularity advances in technology- are combined to try to create a family? When one can not only select for simple things like gender, eye color, and hair color, but also for likely future outcomes like when and where your child will have their first kiss, or what career they’ll be drawn to, how far would you be willing to go to create the child of your dreams? In this short story, Harold and Anne are faced with questions like these in the wake of the devastating loss of their first child—created and born naturally, rather than technologically. An essay about a possible interpretation of God’s perspective of time, relative to the “seven day week” of creation and our place in it. On the nth readthrough, I realized that I summarized much of the entire Bible in a few short pages, providing yet another iteration of the fractal story of creation. 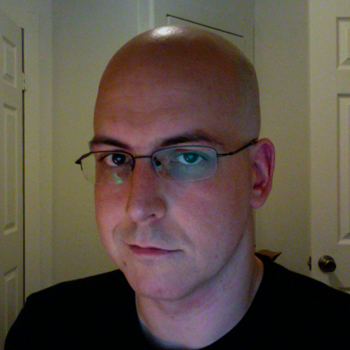 Which may make sense after you hear/read this essay. This story follows the actions of a couple who seem to have been together forever, who want to be able to create children of their own, and who will stop at nothing to do so. Involving stem cell research, cloning, mind control, human sacrifices, eventual success … and what comes after, this story isn’t afraid to touch on sensitive issues to get where it wants to go, or to take things even further from there. In this brief essay, I address the narrative style wherein an author, usually at the last minute, cancels out everything else they wrote and makes the entire experience a waste of time. This story is about the inventor of a revolutionary new technology embodied in a device which allows stable wormholes to be created in spacetime, linking any two of them together. Such a device would allow humanity to travel to space for next to no cost, and herald a new age of expansion into the Solar system. It could allow humanity to contact an alien race and attempt a peaceful relationship. But first, before the technology is ever tested, it gets used by a future version of the inventor to create a wormhole backward in time, intending to alter history and prevent a terrible future from ever occurring. As splintering timelines and misinterpreted future events begin to collide, Iteration, Interruption follows the inventor’s experience as he tries to take control of his own destiny—and of humanity’s. This story gives merely a glimpse of two young people who fall in love at first sight, and of the time-bending company they both work for: Chronomatics. Learn about Chronomatics’ unique services, all of which make use of a form of time dilation to either seem to add more hours to your day (relative to the world at large) or allow you to skip over whole decades of time as though only a single night’s sleep had passed. Learn about the challenges, one after another after another, which spring up to test the strength of their love as though to see whether it can be lost as easily and quickly as it was found. Your conceptions of love and your understanding of time may be challenged by Buying Time.